A cack-handed (left hand low) grip provides for a more naturally curving handle path, which you need for increased stability and speed. That's what it'll seem like when you learn this chipping secret: Maintain the distance between your chin and your grip from start to finish. Follow these steps and always be around the hole. Too steep a swing can derail your ballstriking. Build yourself a flatter downswing with proper extension, rotation and lift. Keep your side bend at the finish—and your drives in the fairway—with this easy move. 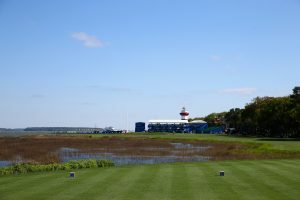 Harbour Town's iconic finishing hole is a tricky par-4, but we're here to help you navigate it with a par – or birdie!